Terrain Navigator Pro provides an affordable and simple solution for professionals to collect and seamlessly transmit data from the field to the office. Use the TNP mobile app to map, find, collect, and share field data. Then, with a mobile connection, instantly share field data with the TNP desktop software to analyze GPS and GIS data at the office. TNP serves a professional market, including search and rescue teams, law enforcement, foresters, surveyors, the oil and gas industry, and land managers. 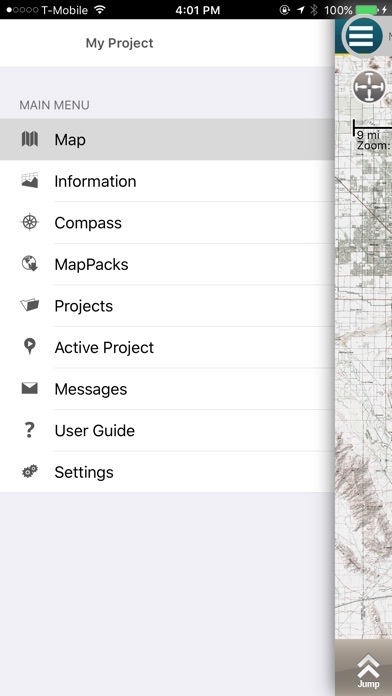 This mobile app is ideal for entry-level GIS applications and enables professionals to use the smartphone in their pocket instead of a consumer-grade GPS device. 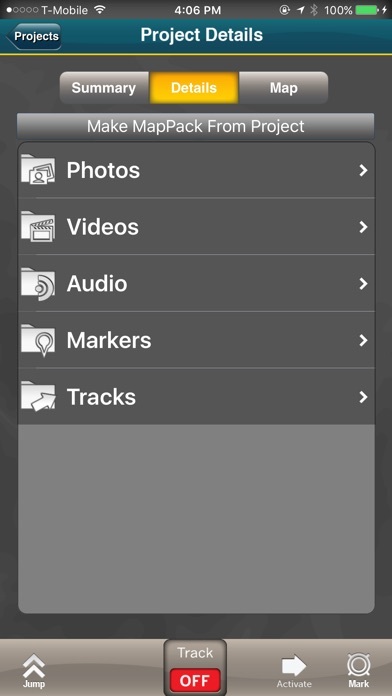 To activate this app, users need a licensed copy of the Terrain Navigator Pro desktop software version 9.2 or later. To learn more about TNP, visit the Terrain Navigator Website at www.terrainnavigator.com. OFFLINE DATA COLLECTION The TNP mobile app uses the GPS built into the iPhone, so professionals can collect field data in areas without a cellular or data signal. In addition, users can download and store topographic, aerial, and street maps onto the phone for offline use and data display. Your data is stored on your iPhone, so there’s no need to have a network connection. ---------------------------------- TNP CLOUD Got a Wi-Fi or data connection? Share your data in near real-time with colleagues at the office to streamline project workflows. The TNP app uploads data as it’s collected, so professionals with the same project open in the TNP desktop software can view the field data and collaborate to make accurate, on-the-spot decisions. ---------------------------------- TNP MOBILE APP FEATURES •Collect field data (markers, tracks, photos, videos, audio clips) in areas without a cellular or data signal. •Near real-time sync between phone and TNP map software via Wifi or data connection like a 3G network. 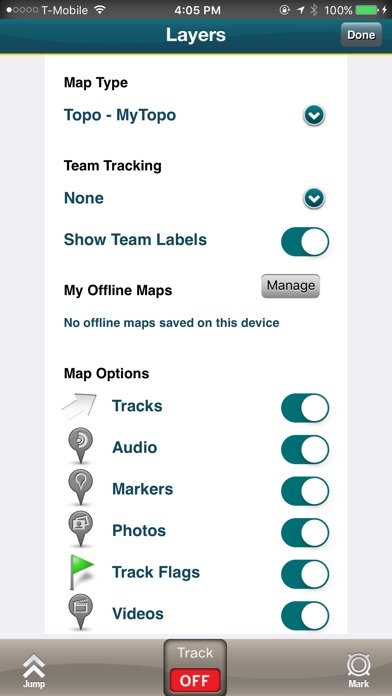 •View data on topographic, aerial, and street maps downloaded to phone for offline use. Terrain Navigator Pro offers 1-meter aerial photos for the 48 contiguous United States. The seamless USGS topographic maps are based off 1:24K, 1:100K, 1:250K map scales. Alaska is 1:63K and 1:250K. 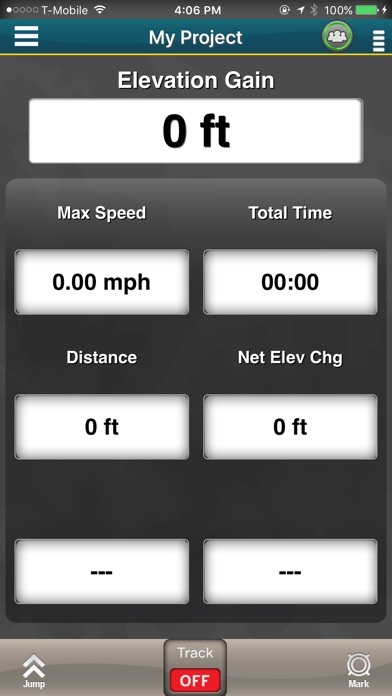 •Access a compass and other geo-information such as latitude/longitude, elevation, and direction on phone. •New Feature for TNP Enterprise customers - team tracking shows where your users are in near real time. Support for team projects which allow organizations to control data users can see ---------------------------------- TNP DESKTOP SOFTWARE This app syncs to our award-winning Terrain Navigator Pro mapping software, which has been fine-tuned based on more than a decade of feedback from professionals who rely heavily on maps in the field. The TNP software provides access to an easily catalogued collection of USGS/US Forest Service topographic maps, including 1:24,000 (7.5 minute series), 1:100,000 and 1:250,000 scale as well as seamless, 1-meter resolution color aerial photos dating back to 2003, and up to the most recent National Agriculture Imagery Program (NAIP) aerial imagery available. The software supports GIS and CAD export and import, and provides access to advanced mapping tools, including: range rings by time and distance, area fills and line-of-sight height offsets, geo-pins, geo-tips, Public Land Survey System (PLSS), advanced address search, up-to-date street data, and more. ---------------------------------- Notes: Terrain Navigator Pro is designed for your iPhone device. Continued use of GPS running in the background can dramatically decrease battery life. The app works great and syncs automatically with the desktop version to print out great looking maps. Very easy to use. You can even track a team of workers and share data almost instantly. 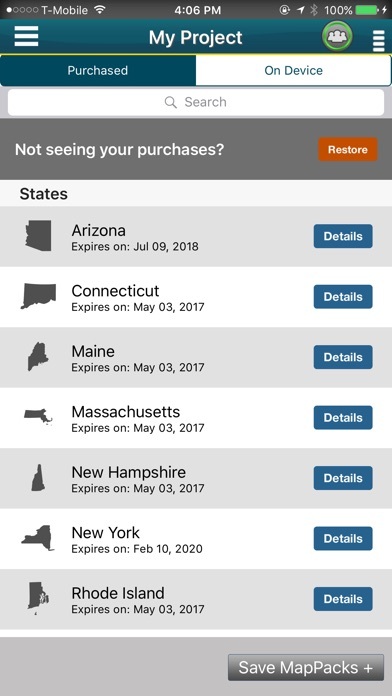 I’ve been using the mobile app for a couple years. It has worked flawlessly for me on iPhones. Reliable track recording (when I remember to turn it on!). Reliable track guidance and GPS coordination when I am hiking using a previously downloaded track. Have had good experiences both in California and on trips in the UK. I’ve almost come to prefer it over using a Garmin GPS unit, at least when I am day hiking or just doing walk-abouts in county parks or other near urban settings. Trimble likes to abandon products without notice. Your maps may become inaccessible at the fickle whim of this developer. Just had this happen on another 'Pro' product of theirs and expect the same to happen here. $240 per year per state? I had the old app which seemed to work. This one you are lucky if you see/display you blue dot (your location). If it does it will most likely be on a background of just white no map. FAIL!!! I like it and it works pretty good. Iphone screen is way too small to be a very useful tool, though. Would be an ideal toop for the ipad, but there is not a version for the ipad. Says go back and register but won't give the registration screen. What a waste of time. Once signed in and synced to the purchased software, this app is excellent. It is very user friendly, and makes creating new projects in the field easy. The fact that I can now use my phone in place of a GPS for routing, and have it automatically sync back to my laptop makes this app worthwhile on its own.